Although it has only been around since 2012, the Steam Greenlight process has changed a lot since its launch just a few years ago. In its early stages, developers saw the system as a bottleneck. The number of games that were actually be approved by Valve was very small compared to how many were submitted. Fast forward to 2015, and now we’re seeing the complete opposite. Getting your game Greenlit is significantly easier. Today, you don’t need 30K votes, but only need to meet a minimum of 2K. They are also now approved in a steady stream instead of batches. Of course, there are still plenty of games that fail to meet the vote requirements to get the Greenlight. 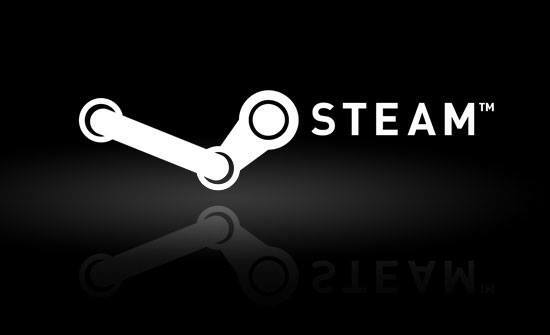 To avoid being one of these disappointed developers, check out the following tips that will help you see your game launch on Steam! If there’s one way to guarantee that you fail on your Steam Greenlight adventure, it’s having a bad teaser trailer. A significant number of people that end up on your game’s page will only do one thing: watch about 30 seconds of your trailer before X-ing out. Their voting for you solely depends on how impressed they were with what they saw. This means that you should do everything in your power to create a polished, informative, and entertaining trailer. The best way to do this is to show gameplay as soon as you can, and as much of it as possible. People don’t want to see logos or you talking for five minutes. They want to check out the game, so make it look awesome in the trailer! We’re not talking about pixel art graphics vs gorgeous AAA visuals here. However, whether your game is a retro 2D platformer or a 3D platformer, make sure it doesn’t look like junk. Since people will only check out your trailer for a few seconds, and maybe quickly scan your page, you could garner a significant number of votes only due to good visuals. One way to turn people off right away is by using placeholder graphics for your page or trailer. This will lead viewers to assume that either the visuals are bad, or the game is in such an early development stage that even if it gets greenlit, it probably won’t get finished any time soon. Even if your game’s gameplay and graphics look amazing in the trailer, poor audio quality will most certainly result in lost votes. Even if you clearly state that your game is missing the sound and music that will feature in the final version, people will still react negatively to raspy music, scratchy sounds, etc. We suggest you do whatever you can to get some decent audio equipment, even if it means begging a friend or family member. You’ll regret not bothering to do so when you start getting comments like “the game looks neat but the sound is awful,” and you miss out on votes. Good audio means your game will come off as professional instead of amateurish. If you provide walls and walls of text about every feature, character, and power-up in your game, there’s a good chance that few will bother reading it all. As we’ve heard a million times before thanks to a certain viral YouTube video: “ain’t nobody got time for that”; not even Steam users. Since people tend to spend less than a minute on a Greenlight page, aim for a description that they can read in that small time frame. While you’re at it, make sure the descriptions are not only informative but also gripping as well. If your game is story-driven, end the “About The Story” part with some kind of hook to get people interested. Also make sure to list unique and/or popular gameplay features that will catch a viewer’s attention. You know what people who like [insert game genre here] tend to enjoy playing as well? Games that are similar enough to already feel familiar, but different enough to provide a fresh experience. So if your game is a retro 2D platformer with tough but rewarding combat, you would do well to add some kind of reference to Shovel Knight, or at least Spelunky.